How are all my fellow novice school parents going? Can you even believe that we're heading into our first ever term holidays? I think it's safe to say that I'm definitely feeling that they're richly deserved for the parents and teachers as well as the children. Yep. You can send in photos for News in a KeyNote presentation on a flash drive. The last ten weeks have been a whirlwind of new routines and new expectations but also new friendships and adventures for us both. I went to my first parent teacher interview last night and was amazed at just how much progress Master SSG has made in his first term of school. It was just lovely to hear how he's progressed and grown and it's nice to know that I'm on the right track with what we're doing at home to support what is being taught at school. We are just so lucky to have Miss J as our teacher and I think we will all miss each other terribly at the end of the year. The last week of school means that it's the last week at work for me. 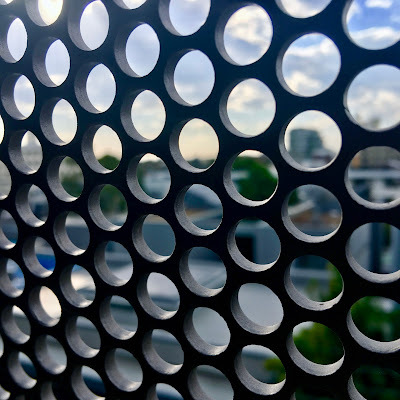 I've got a bit of time off with Master SSG which we've both got vague plans for (lots of trips using our Opal cards to visit interesting places to explore and eat at). It's just getting through this week and the planning ahead I need to do for while I'm away. This collection of things on top of my work diary are doing their bit to calm the farm. My favourite perfume- 'Portrait Of A Lady' (which I'm running out of and may replace for myself for Mothers Day), my favourite apple of the season - Jazz which are always crispy, juicy and tangy and last but not least my favourite long wearing lip colour - Tartesist by Tarte. I like how Tarteist wears. It is a it drying but when it fades, it does so evenly without leaving flakes of colour on your lips. It dries quickly and the colours have a bit of oomph to them. They're $29 AUD at Sephora. I've also been remembering to breathe and be in the moment in between the waves of busyness. There's something about looking through and around the circular holes of our new car park's safety grilling that I find very soothing. I was at the Cotton On Body store in Bondi Junction the other day to use my $10 off promotional voucher and the ladies that helped me couldn't have been more helpful. There was a glitch getting the coupon to work but with a bit of perseverance and a call to the store manager, it finally did. Then, later, when I had to return to get an exchange, it wasn't a problem even though I'd lost the original receipt. And both ladies were unfailingly friendly, helpful and efficient. Thank you both ever so much. This jaded middle aged woman really appreciated your customer service. This is the top I bought. It's the Upper Cut Tie Up T ($24.99 AUD) and is available in red, blue, black and white. It has a tie waist at the back and a keyhole back that prevents too much being put on display as you go about your run or gym session. The fabric is a breathable and sturdy synthetic which doesn't cling but it does show moisture a bit where there's sweat (in the blue and red colourways). They're a comfortable top to wear and I like the style and pop of colour they give my dark coloured leggings. Great value for the $20 or so I got them for after the discount. My J Crew order arrived and has begun a week of Good Mail. What can I say? The Easter Long Weekend was incredibly conducive to hunting for the missing pieces in my wardrobe. In it was this Parke Blazer in wool, the co-ordinating Cameron pants, an oatmeal roll neck sweater and a black wrap dress. Expect oddly angled selfies detailing all of the above in coming weeks. I just need this weather to cool down, Sydney. I also ordered two silk blouses from Grana and have been pleasantly surprised at the fit and quality. I've taken lots of educational photos so expect a post featuring them soonish. I've finally binned my faded, pilling bathers for these new Speedos. I love the monochrome print, I love the hot pink embroidered detailing, I love doing laps at the Ryde Aquatic Centre. Looking forward to a relatively stylish autumn / winter doing laps down at the pool. Book wise... in life after Inspector Gamache, this is the book I've not been able to put down this week. 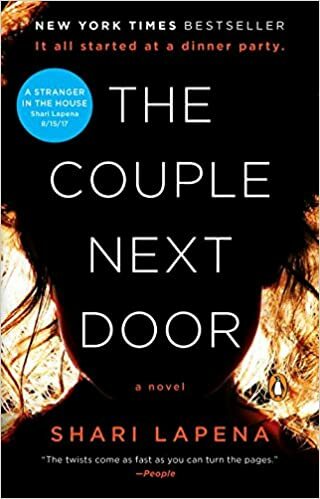 The Couple Next Door is another suspense winner that one my Insta ladies shared on her feed a while back. It's top shelf domestic noir and explores the aftermath of Anne and Marco Conti's last minute decision to leave their six month old daughter asleep on her own in their home while they went next door with a baby monitor to have drinks and dinner with their foot loose and fancy free neighbours Cynthia (who loves a bit of a flirt) and Graham (who puts up with it). Baby Cora seemingly disappears in a narrow window of time between Anne and Marco's scheduled check ins. There is no forensic evidence that a stranger entered the house, the garage light sensor was disabled, the back door unlocked. Detective Rasbach has an uneasy feeling about Anne and Marco and their actions in the early days after Cora's abduction do little to shake this. And rather breathlessly, I shall leave you at this point. I've got to get to school early to get winter uniforms for next term. Apologies if this has all been a bit breathless and poorly structured today! Hoping to be more coherent next post! How's end of term treating you? Great post! I really need to read that novel as I do love a thriller. Oh I don't think I could read that book - I had horrible nightmares in my pregnancies of my babies being missing! On an outfit note, I'm loving the pieces you bought. 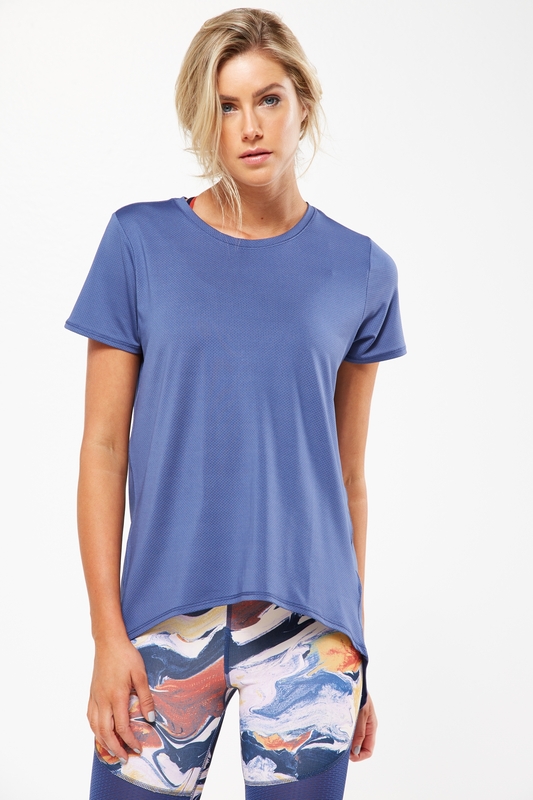 I haven't bought much at cotton on for a while, but my sister who is keen on exercising gets a lot there too, I think they do good gear for the price! :) Please to hear the first term of school went well, isn't it crazy how fast this year is going?